Start your day with a cleansing Lemon Water. The health benefits of drinking citrus fruit flavoured water has existed since the Roman Era. 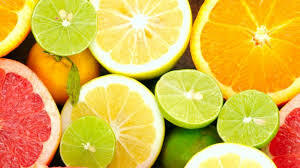 Citrus fruits such as limes or lemons are loaded with health benefits and are the perfect way to start your day with a focus on maintaining and developing your optimum health. Warm lemon water is best consumed on an empty stomach in the morning and can become one element of a daily healthy morning ritual. A healthy morning ritual is an amazing way to start your day with a positive mindset to improve your overall health. It can comprise of any positive steps that you consciously make to improve your own wellbeing including taking vitamins or supplements, herbs, drinks or simply just nutritious foods eaten mindfully. So how do you do it? Lemon water is amazingly simple. You need warm water, it shouldn’t be cold, hot or boiling, room temperature to lukewarm water is best. Simply squeeze half a lemon into the glass of warm water. Gently stir it and either drink the glass or sip it slowly. Ideally this should be done before eating any foods as a start to your day. An increase in Vitamin C consumption which can then improve your immune system and resistance to colds and flus through the increased production of white blood cells. Regulating digestion and helps alleviate symptoms such as indigestion, bloating, heartburn and belching. This is achieved through the increased secretion of bile and the stimulation of the Liver and Gall Bladder. Clearing your skin and healing your body. The extra vitamin C can play an important part in keeping the body producing collagen which can help keeping your skin fresh and wrinkles at bay. Can aid in weight loss through pectin found in the pulp (or peel) by reducing hunger cravings. This in combination with the effects of improving digestion and making more healthy choices throughout the day can have a positive impact on your health and weight. It is also known for boosting your energy and improving your mood and general wellbeing. Lastly it improves cleansing and flushing out your system though increased hydration. Drinking warm lemon water is a simple way to start your morning, promoting a healthy lifestyle and giving your metabolism a good kick start to your day. Simon is available for consultation at Mornington Chinese Medicine on Mondays, Fridays and Saturdays.